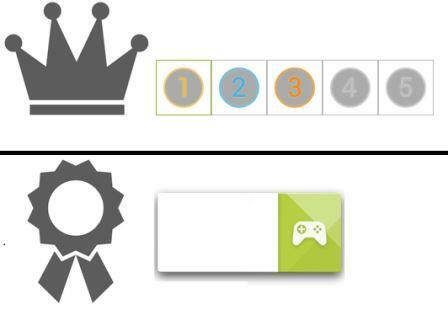 “Google Play Games” Comes Before its Debut at Google I/O: New service-oriented features include multi-player games, invitations, rankings and achievements. Google I / O is about to start, but now we have confirmation of at least a novelty to be presented at the event, Google Play Games. The folks at Android Police have access to Google application destruction Play Games and all the details about the new service-oriented games and players of Google’s mobile platform. The discovery was made using the new update of apk Google Play Services which reaches its version 3.1.36, a version much larger than the previous one, hiding details of Google Play Games. The Games Play can switch between their various Google accounts if you have more than one e-mail, but the buttons on the drop-down menu does not let you do much. The integration will be with the Google+ social network, and your friends in the network can receive invitations for online multiplayer matches. Among the social characteristics of the service, the players also have access to a ranking system and achievements, badges and other details that we should see more details on the wealth of Google I / O will happen within a few days. Google Play Games provide game developers and players the ability to save the cloud evolutions in their games, allowing for example, that you continue a game where you left off on any device, provided you have internet access. The new system will help Android owners not to worry more about the “save games” which relied on some hacks as root access. Besides being a hand on the wheel and bring greater interaction among users of Android, with Google Play Games, the search giant opens a door for Android also between the living rooms of families and tight as a console game. To get that far, Android has to offer much more than that, it is true, but one step has been taken. We should have more news about Google Play Games at Google I / O event, which takes place between 15th to May 17th in San Francisco, USA, and Google shows the news for developers of its various products. 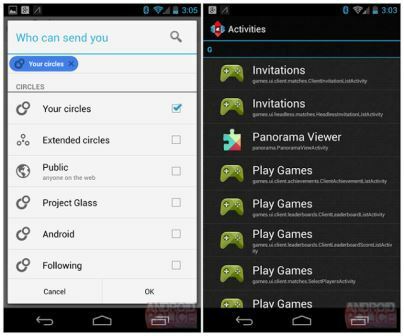 The Google Play Games (or Game Center) will have integration with the Google+ social network, allowing the user to send invitation to your friends to multiplayer matches online. Furthermore, players will have at their disposal a ranking system, achievements, badges, and others whose information also may be disclosed in the event Google I / O 2013 is that in the days to happen.